The little prince of peace and happiness descends from his Butterfly Throne to seed the clouds of earth below with his essence. This painting shows the innocent “work” of spreading peace by a little child, and the relationship his labor of love has with the place from which he has descended. A portrait of my grandson. OK, a little Messianic too. The little prince of peace and happiness descends from his Butterfly Throne to seed the clouds of earth below with his essence. 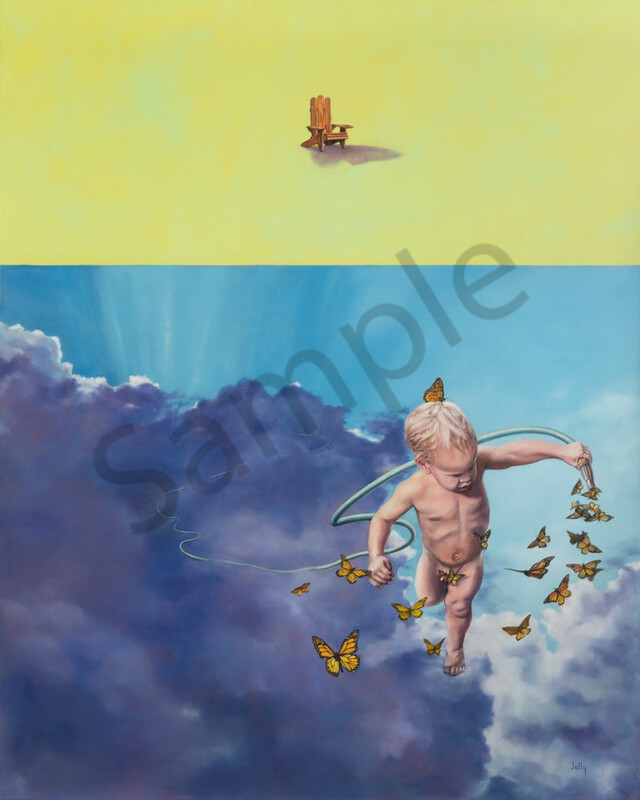 This painting shows the innocent “work” of spreading peace by a little child, and the relationship his labor of love has with his place in the world and in heaven. A portrait of my grandson. OK, a little Messiah too.